This month, we’re giving away laminating pouches. Enter by May 1 for a chance to win. 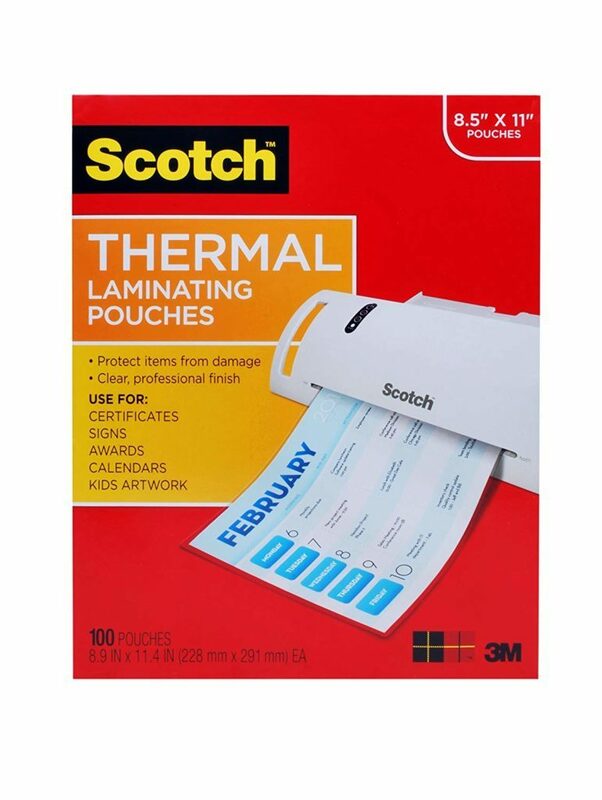 Laminating pouches are great for certificates, flash cards, DIY dry-erase sheets, and word wall cards. For a full description and reviews of the product we’re giving away, click here. There are two ways to enter. Log in above and answer a survey question, or leave a comment below telling us what next month’s prize should be. I think next month should be colored paper. We build monthly vocabulary and writing booklets for our Kindergarten classroom for our students to work in. Expo markers would be a great give away. Thank you! Thank you for this giveaway! Next time you Will raffle a laminator! Sharpies, post-its, or gift cards for end of year things or summer programs. Dry erase markers are always great! I think you should giveaway dry erase markers! Thanks for the opportunity! An idea for next month’s giveaway could be Expo dry erase markers. By this time of the year they have gotten worn. Or colored construction paper. Cardstock is always needed and goes great with the laminate sheets!! Thank you for the opportunity to win a great prize! These are great! Colored card stock would be really good too. Permanent markers would be great giveaways! Pilot Frixion erasable pens! They are great for grading and come in really fun colors! The big post it notes! i like colored velcro coins. Post-It Notes! Large ones! Or double-sided tape.